As you know, our mission is to provide you with the most exciting fresh water fly fishing opportunities on the planet. In line with that goal, we have decided to chase the mighty KING (Chinook) salmon of British Columbia! 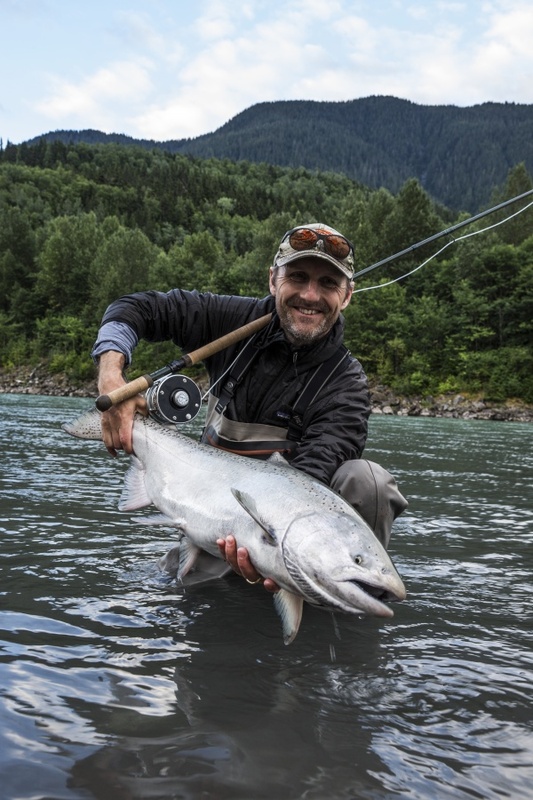 We invite you to join us for an action-packed Chinook program. Please note: Fly fishing for Chinooks is a 100% adrenaline activity. It is not for the fainthearted. On the other hand, for fly fishers after the juiciest kicks in fresh water, not much else can top it. Our test weeks in 2014 got us completely hooked and is now part of our program and should be on every Salmon Junky CV. We will target the Kitimat, Copper, Kalum and Skeena rivers, depending on conditions. 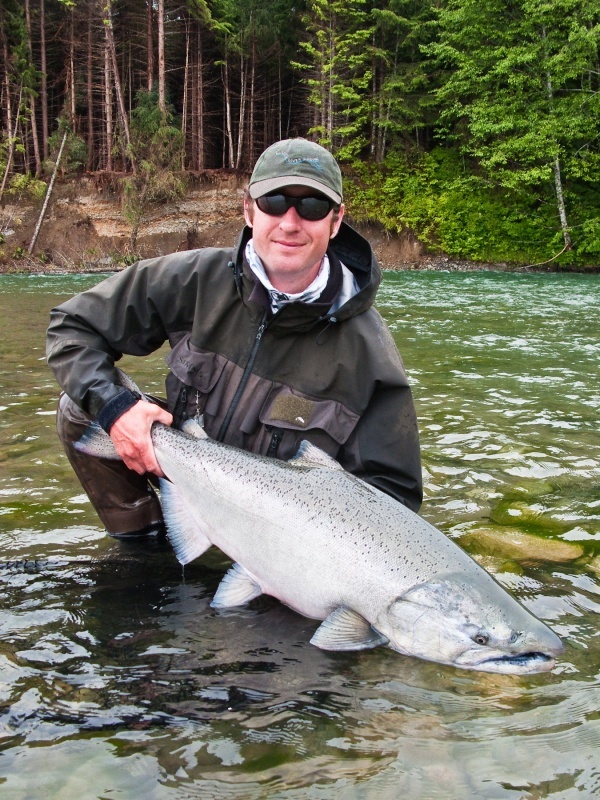 Skeena region Chinook average 20 to 40 pounds and range up to 80 pounds — and perhaps beyond. 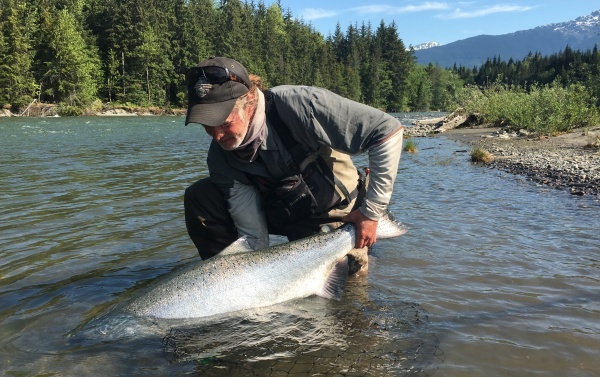 The Skeena’s biggest have been known to reach 100 pounds! The Kitimat is a small to mid-sized river with cobble/gravel pools well suited to swinging flies. It is a relatively short river with great fly water close to the salt. 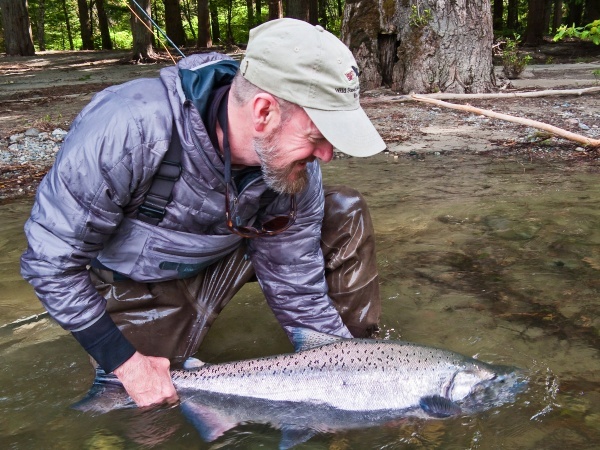 Tributary to the Skeena, the Copper is a classic, mid-sized stream with kilometers of boulder and cobble runs offering some of Skeena Country’s most desirable fly water. 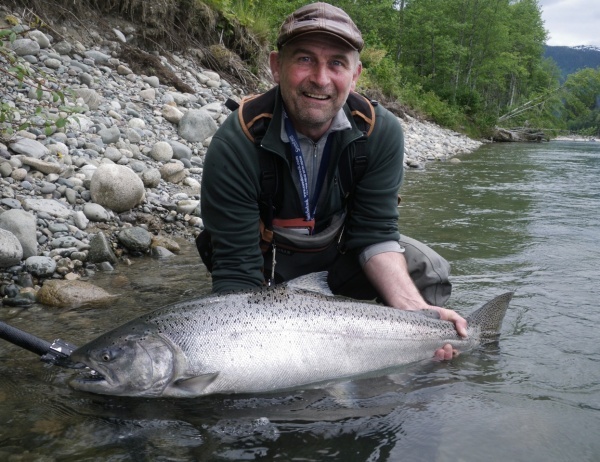 It hosts a prolific run of Chinooks and extremely hot early-returning Summer-Run Steelhead. 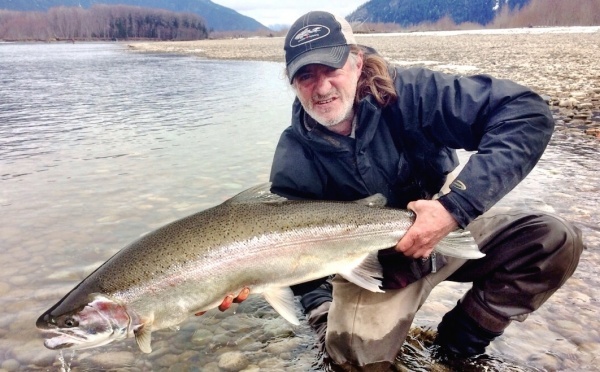 Also a Skeena tributary, the Kalum is a mid-sized river with boulder-studded runs and cobble/gravel pools perfectly suited to fly fishing with a double-handed rod. It is renowned for its oversized chinook. 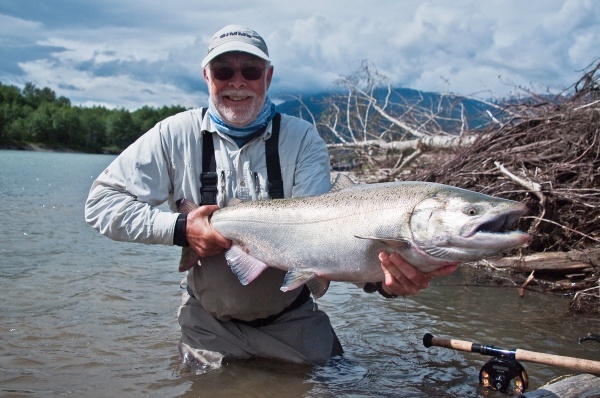 Broad and powerful, the lower Skeena is the main route for Chinook headed to tributaries upstream. In summer, the Skeena drains the melting snow of a vast watershed. But don’t be intimidated by the river’s size; fishing the edges where salmon migrate can be very productive. 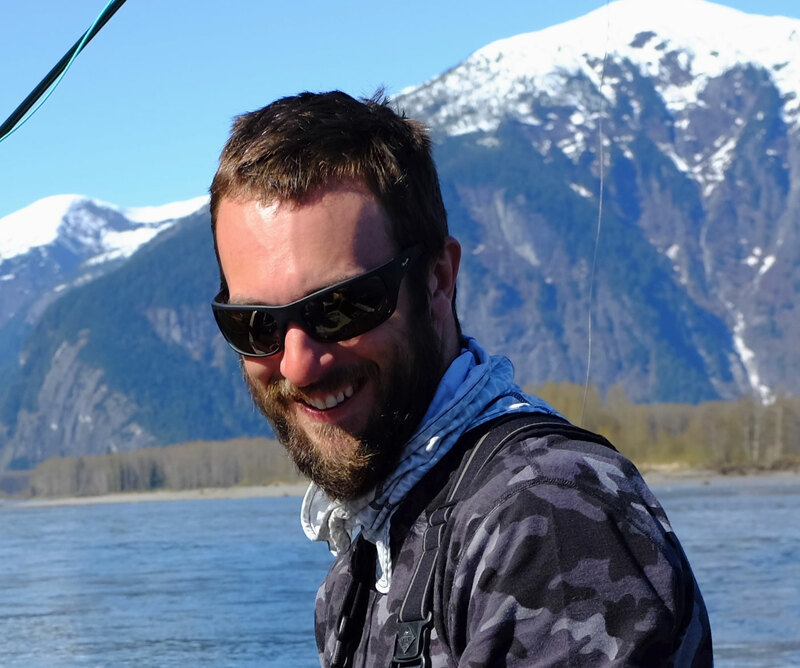 Many people believe that the Skeena watershed is easily accessible and relatively easy to fish. However, that is not the case if you want to get the most out of a week. Many of the best rivers and pools are difficult or nearly impossible to access without a local guide, and often the only way to get there is by powerful jet boat (or raft) and local knowledge. Lastly,some of the most attractive rivers for guided fishing are licensed with limited access for only a small number of people. Salmon Junkies have access to many of these classified waters, plus a well selected number of coastal rivers. A measure of insulation against poor weather conditions. If one river blows out, there’s often a chance at moving around to a different one. Pioneer Lodge owners, Jezz and Pip, are focussed on providing a guest-first approach to our clients, as are we and Nicholas Dean Outdoors. This means service at the highest levels in the industry. What’s is all about? 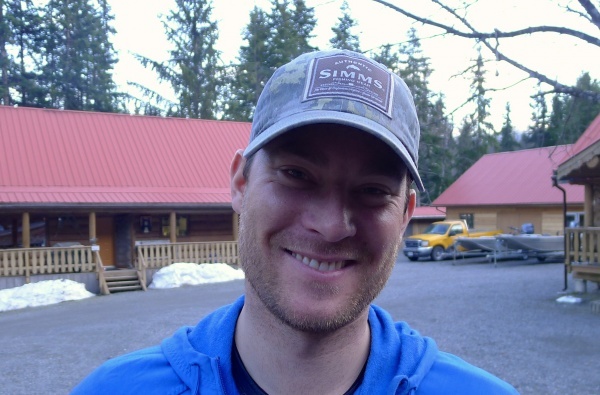 Well, no one knows that better than Jeff Bright, who has been so kind to share his article from Fly Fisherman magazine titled, The King’s New Crown. Please kick back and enjoy the ride. Click here to read the article by Jeff Bright – sharing his darkest secret! 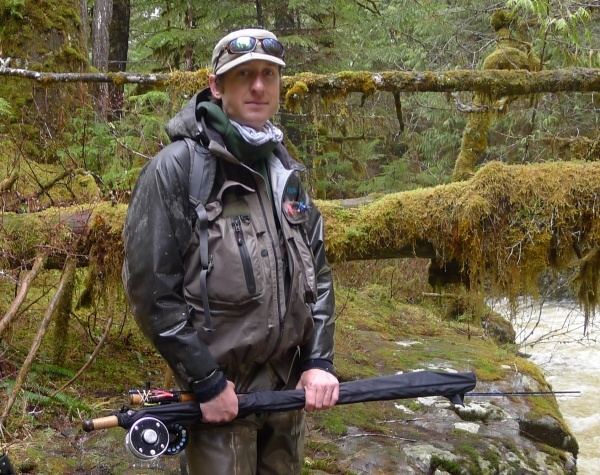 Jeff Bright is a photographer, freelance writer, conservationist, avid steelheader and a true Salmon Junkie. 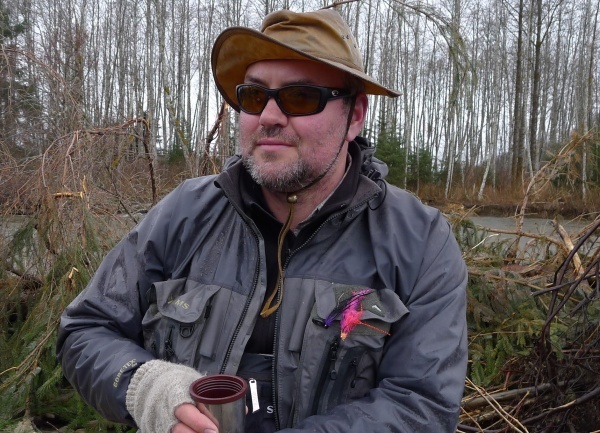 He hosts more than a dozen expeditions for anadromous fish annually, from the Skeena River to Tierra del Fuego to the Kola Peninsula (Umba & Grand Varzuga. He is the author of Found in a River: Steelhead & Other Revelations (Frank Amato Publications, 2002).